Indianapolis, Indiana – Attorney and Photographer Richard N. Bell of McCordsville, Indiana filed suit in the Southern District of Indiana alleging that Defendant, Halcyon Business Publications, Inc., of New York infringed his “Indianapolis Photo” which has been registered with the United States Copyright Office as Registration No. VA0001785115. After review of the Defendant’s Motion to Dismiss for Lack of Jurisdiction which was filed on December 29, 2017 the court granted the Motion to Dismiss on May 24, 2018. Bell, who has brought many similar lawsuits for infringement of his Indianapolis Photo, initially filed this case on November 29, 2017 alleging violations of the Lanham Act and copyright infringement. Halcyon claimed that the Court lacked personal jurisdiction over the company as they do not maintain any offices in the state, have no employees in the state, and have no assets in the state of Indiana. They did adm it that they hired one Indiana resident as an independent contractor to write for their publication, but that contractor did not write the article that utilized the Indianapolis Photo. Further, the total amounts of advertising sold to Indiana companies by Halcyon amounted to 3.26% and 4.55% in 2016 and 2017, respectively, and Indiana subscribers to the publication comprised less than 3% of their total subscribers. Here, the Court must only look at whether the personal jurisdiction is consistent with the Federal Due Process Clause as Indiana’s long-arm statute is analyzed under this issue. For this, a defendant must have “minimum contacts” with the forum state and purposefully avail themselves “of the privilege of conducting activities within the forum [s]tate, thus invoking the benefits and protections of its laws.” Asahi Metal Indus. Co. v. Super. Ct. of Cal., 480 U.S. 102, 109 (1987). This allows a defendant to reasonably anticipate being brought into a forum in a foreign jurisdiction. Fort Wayne, Indiana – The Northern District of Indiana granted a motion for interlocutory appeal to the Seventh Circuit. This Indiana copyright lawsuit involves Plaintiff Design Basics, LLC of Omaha, Nebraska, a company which “creates, markets, publishes and licenses the use of architectural works and technical drawings.” Defendant is Lancia Homes, Inc., a Fort Wayne company that builds homes. Copyright litigators for Design Basics argued that its claims were not time barred under the Copyright Act, which states that “[n]o civil action shall be maintained under [its] provisions . 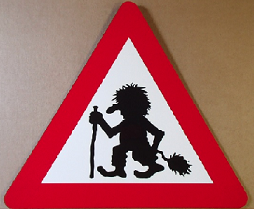 . . unless it is commenced within three years after the claim accrued.” It argued that the traditional discovery rule, which provides that a claim accrues when the injured party discovers or should have discovered the allegedly infringing act, should be applied. Citing dicta in the Supreme Court’s decision in Petrella v. Metro-Goldwyn-Mayer, Inc., Defendant Lancia Homes argued that a claim for copyright infringement accrues at the time of the infringing act. The district court agreed with Design Basics and applied the traditional discovery rule. 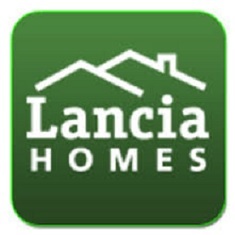 Lancia Homes requested that the court certify the question for interlocutory appeal. Under 28 U.S.C. § 1292(b), a trial court may certify an order for appeal if it “involves a controlling question of law, as to which there is a substantial ground for difference of opinion and that an immediate appeal from the order may materially advance the ultimate determination of the litigation.” The court found that these conditions had been met and granted Plaintiff’s motion to certify the issue for interlocutory appeal. Evansville, Indiana – In the matter of Berry Plastics Corporation v. Intertape Polymer Corporation, Judge Richard L. Young of the Southern District of Indiana ruled on Defendant Intertape’s motion to reconsider the court’s conclusion of patent invalidity on the grounds of obviousness. 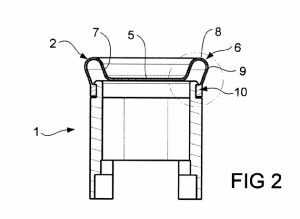 This Indiana patent litigation, filed in January 2010, sought a declaratory judgment of non-infringement of U.S. Patent No. 7,476,416 (the “‘416 patent”). Plaintiff Berry Plastics Corp. sued competitor Intertape Polymer Corp., which owns the ‘416 patent. 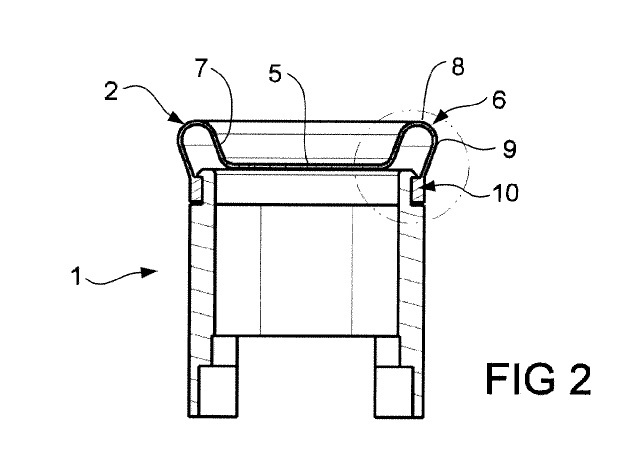 In the complaint, Berry asked the federal court to rule that it had not infringed the patent-in-suit, titled Process for Preparing Adhesive Using Planetary Extruder. In the alternative, it asked that the court rule that the patent was invalid and unenforceable. Among the reasons cited for this proposed conclusion were assertions that Intertape had engaged in improper conduct before the U.S. Patent and Trademark Office and that the patent was invalid as obvious. The court held a jury trial in November 2014. The jury found, inter alia, that the ‘416 patent was not obvious. After the trial, the court heard additional argument on the issue of the validity of the patent and ruled for Berry, holding that the patent-in-suit was invalid as obvious. The court first held that certain dependent claims had not been challenged as invalid at trial and, consequently, the court had no jurisdiction to rule on the validity of those claims. On these claims, it granted the motion to reconsider. Regarding those dependent claims that had been asserted at trial, the court evaluated the evidence and testimony presented and concluded that the dependent claims added no patentable subject matter but were instead simply obvious selections of prior art used in an ordinary way. Consequently, the court denied Intertape’s motion to reconsider. Chicago, Illinois – Magistrate Judge Geraldine Soat Brown of the Northern District of Illinois granted the motion for summary judgment of John Doe, the anonymous Defendant sued by pornographer Malibu Media LLC (“Malibu”) on allegations of copyright infringement. Plaintiff alleged that, between May 2013 and July 2013, Defendant infringed Malibu’s copyright in 24 movies by downloading them from the internet using file-sharing software known as BitTorrent. Copyright attorneys for Malibu filed a copyright infringement lawsuit against Defendant, stating that Defendant had been identified by the internet protocol (“IP”) address that had been used to infringe. Defendant was permitted to litigate anonymously as “John Doe” (“Doe”). Malibu submitted various pieces of evidence to support its contentions that Doe had infringed the copyrights on Malibu’s works, including a declaration by the founder of Malibu and declarations of various experts, such as forensic investigators. Doe denied Plaintiff’s claims and contested its method of proof. The court evaluated Malibu’s evidence, noting that some of it was simply pro forma and included no relevant and particularized statements about the copyright infringement that Malibu alleged had been committed by Doe. The court stated that at least one pleading was described by Malibu as containing attached materials that had not, in fact, been attached. Other material was described by Malibu as having been sent to the court, while the court indicated that it had never been received. The court also reproached Malibu’s attorneys for misrepresenting to the court the court’s earlier statements regarding the relevant evidentiary requirements to prove Doe’s liability. It further noted that Malibu had failed to adhere to required procedures, such as the serving of several disclosures under Rule 26(a)(2). Because those disclosures had not been made, and because the court held that the failure to disclose was evidence of at least willfulness, if not bad faith, two of Malibu’s declarations were stricken in their entirety as were portions of a third declaration. All of Malibu’s statements of fact that relied upon the stricken material were also excluded from evidence. Malibu admits that there is no evidence of visualization software on Doe’s computer, and not even any evidence of the deletion of visualization software. Malibu says that is “beyond fishy,” and speculates that Doe must have deleted visualization software from his computer in some way that hides the fact that it was deleted, and then extends the speculation to suggest that Doe must have done that deletion to hide his infringement of Malibu’s works. That is not evidence that Doe copied or distributed Malibu’s works. The court granted Defendant’s motion for summary judgment. Plaintiff’s motion for summary judgment, which asked the court to conclude that Doe had infringed its copyrighted works, was denied. Practice Tip #1: Malibu has filed a multitude of virtually identical lawsuits around the country. According to a recent case in New York, “Malibu is a prolific litigant: between January and May 2014, for example, Malibu was responsible for 38% of copyright lawsuits filed in the United States.” Malibu Media, LLC v. Doe, No 15 Civ. 4369 (AKH), 2015 WL 4092417, at *3 (S.D.N.Y. July 6, 2015).